We have attended and hosted a few wine events over the last couple of months. But I learned a lot from a wine event we recently hosted. We did a brown bag night. 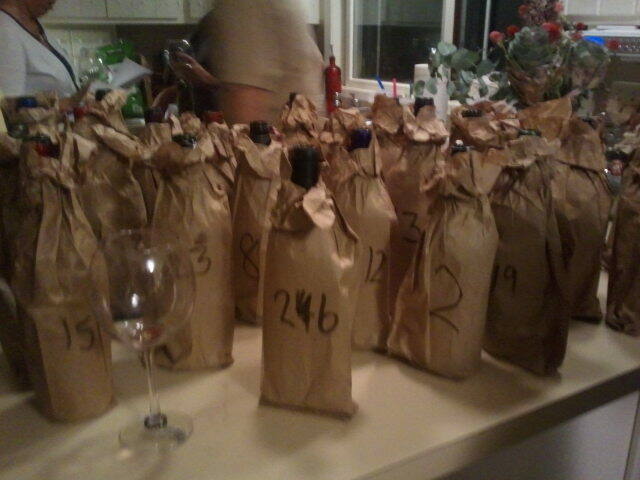 This means we put all of the wines in brown bags and guests guess the varietal and rank it. We did have some wonderful wines. First mistake, we invited too many people and we had too many wines. there were probably about 30 people and we had about 28 wines, not including the wines we opened for people to pour before everyone got there. Second mistake, letting one of our guests pressure other guests to drink fast to get through all of them so we could vote, this was not a contest to see who could drink the most the quickest. Third mistake, not putting as much value on the food as we did the wine. Overall it was a really fun night, but I definitely made mistakes that I would learn from again. We also had a wine event that started the next day at 11:00. Needless to say, it was a long day, but more on that later!